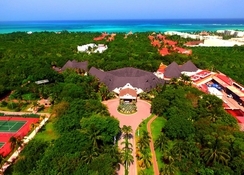 The Hotel Catalonia Playa Maroma, which is situated on a lovely Caribbean shore takes its name from the gorgeous beach known as Playa de Punta Maroma. Surrounded by lush mangrove forests native to the Yucatan peninsula, the hotel’s location offers guests an away-from-it-all feel. 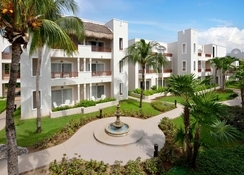 This all inclusive hotel provides luxury accommodation laced with quality guest amenities and a touch of warm Mexican hospitality. Explore a wonderful white-sand beach stroked by turquoise waters, make a splash with aqua aerobics in the pool, unwind with dance classes, head to the gym and hit the tennis courts, or get involved with the exciting kids' activities. After a fun-packed day, guests can relax in the sumptuous Alegria Spa, before returning to elegantly furnished guestrooms, each with a balcony or terrace. When hunger strikes, indulge in the resort's delicious cuisine at the in-house restaurants and lounge bars. 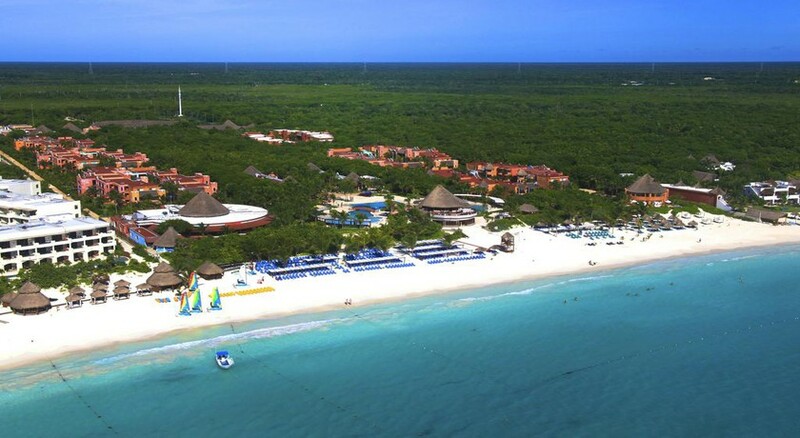 Just steps away from the magnificent beach Playa de Punta Maroma, this beautiful hotel is surrounded by lush mangroves and located in a secluded part of Cancun, ideal for scenic escapes. The beach is counted among the world’s most renowned stretches of sand. 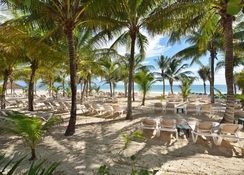 The hotel is 14km from the Church of Guadalupe and 25.7km from Cozumel International Airport. Located near Playa de Punta Maroma, the hotel comprises six, three storey villas, with a spectacular façade and spacious guest rooms inside. The décor makes use of tropical colours and uses Caribbean accents. Rooms may have lovely sea or garden views and are furnished with king-size, twin beds or two double beds, en-suite bathrooms and opulent furnishings. The rooms come in categories of Premium Room, Privileged Superior, Privileged Suite and Privileged Honeymoon. Privileged guests can enjoy the Privileged All Inclusive package for ultimate luxury. 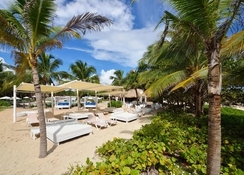 Visitors can savour everything from authentic Mexican cuisine to fresh seafood at Playa Maroma Catalonia. During the day, a variety of beverages and snacks are available to enjoy by the pool or beach. After dinner, guests can dance the night away in the nightclub. Savour Mexican food, as well as other cuisines in the restaurants and bars including El Pajarito, an al fresco buffet of International and local cuisine, Tortuga Salad Bar & Snacks, Terrace Tapas Lounge & Bar for fantatsic tapas and small plates, Toscana's a la carte menu for Italian cuisine, Tio Pedro Mexican and Tortuga Snack & Grill. 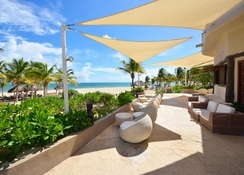 Catalonia Playa Maroma has a lovely beachfront pool with a bar attached. Guests can enjoy tennis or exercise in the fitness centre, or equally relax on the sand or with a massage in the Alegria spa. There are non-motorized water sports available at the beach, while the tiny tots can have fun at the Kids' Club. There is sizzling nightlife where you can dance to Caribbean music all night long at the discotheque! Guests may also explore local attractions on a day trip. This hotel does not accept American dollars as cash.